Rates of unemployment in the United States have remained relatively unchanged over the past few years. But it seems retail companies are reaping the benefits of an economy that is slowly and steadily improving. People have more discretionary income which, in turn, has helped contribute to rising consumer spend. And this growing trend has positively influenced the industry's job market, though how long this will last is still unclear. Data recently collected by the U.S. Bureau of Labor Statistics revealed that 23 percent of the jobs added in America last month were for positions in retail, Souring Journal reported. A significant portion of these new employment additions took place in the apparel specialty segment, due in large part to an increasing number of retailers hiring workers for distribution and e-commerce operations. On the other hand, major department stores, including Macy's and Target, have been forced to shut down locations, which can explain the 4,000 job cuts the sector saw in February. According to Souring Journal, these trends could be representative of a current transition period. Merchant accounts are adopting new solutions and systems that are better designed to support the rising dominance of omnichannel selling. But retail supply chain executives are struggling to develop cost-effective strategies for managing inventory, fulfilling orders and streamlining production efficiency, since these functions present an entirely different set of challenges and complexities than traditional brick-and-mortar. 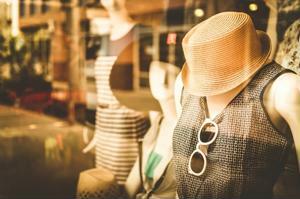 Many argue that physical stores are still an essential aspect of successful commerce. This stance is fastened by eRetail giants, such as Amazon and Lululemon, extending offerings off line and opening locations to sell in-person. But it should be noted that this approach is possible for organizations that originated online and have already mastered Web-based selling. And the downsizing and consolidation moves made by well-known brands suggest the importance of brick-and-mortar businesses restructuring spend strategies. Considering the growing adoption of the Internet of Things, as well as the strong role it plays in e-commerce, the idea that more retailers will start shutting down stores and cutting jobs is at least understandable, if not entirely expected. Observing the digital-driven direction the consumer market is taking, one might assume that there will be a surge in retail companies reallocating spend to technology fields. However, as a recent move made by Nordstrom Inc. indicates, these investments may not give businesses the immediate cost-saving solutions they're looking for. This week, GeekWire reported that Nordstrom has laid off 130 workers from its technology department this month. Nordstrom's past seven months of job cuts and changes were felt at all levels, including the loss of the IT team's vice president and several senior-level executives. "Restructuring the technology team was just one part of a larger effort that we had undertaken to ensure that the organization's operating model is best prepared to support our company's future growth goals and provide us with a competitive advantage moving forward," said Tara Darrow, the company's representative. GeekWire pointed out that Nordstrom's February earnings report revealed a 30 percent drop in quarterly net income from the year before, even after having made $300 million in e-commerce and technology-related investments. And that this is why the company plans to reassess its platform and consolidate the number of projects it undertakes. According to the source, Darrow explained that these efforts have been taken to help improve workflow efficiency and increase cost-reductions. The financial loss experienced from an ineffective investment underlines the importance of retail companies partnering with specialty consultants to uncover strategic sourcing opportunities and leverage expert methods for reducing indirect spend.